Review: The lives of a young foster boy, his foster mother and a popular, egotistical pro quarterback intertwine in this story of the perils of the foster care system in America. It is a story that points to the importance of family and hanging onto truth, God's grace and keeping promises. The characters drew me in and I really felt for seperate one. My heart was broken for Cory, the young boy who lost his mother at age 6 and how he hung onto the truth of who his mother told him his father was even in the midst of nobody believing him. And I desired to be more like his foster mom who was a strong woman who had a big heart for all foster children, not just her own. My heart was broken for back up quarterback who made a promise to his dying boy and this was his last chance to fulfill that, and even for Aaron the selfish quarterback who lived only for himself. In the midst of all their lives, and God working in each one, the theme of our lives not being defined by just what we do on Sundays, but what we do between those Sundays, comes through loud and clear. 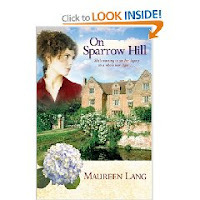 Review: The second in the "Oak Leaves Series" the story continues in the country side of England. This part of the story explores surrender and servanthood. It continues in the same vein as as the first book going back and forth between a diary from the 1800's and present day characters who's lives become intertwined by the Fragile X gene. The diary this time belongs to Berry who ran the school that Cosima had dreamed of in the first book. The real time story deals with Dana who is a present day relative of Cosima and is a carrier of the fragile x gene and her cousin in England who is starting a relationship with the manager and curator of his family's historical countryside home. As each character deals with the events that thrust them together and also threaten to devestate them, the author weaves in a lovely story that challenges the reader to examine their own beliefs about surrender to God's plans and servanthood and what it means in their own lives. Review: A quirky cast of characters surround Hank as he tries to the job he's been hired to do reviewing the crew on an Amsterdam bound flight. 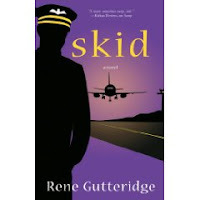 Unbeknown to him until the story unfolds, joining him on the flight is a very nervous man returning diamonds to his grandmother, a jewel theif, an emotionally challenged woman with a pot bellied pig, a pilot who once crash landed in the Bermuda triangle, a co pilot with conspiracy theories, a flight attendant with an attitude and a young lady who's mantra is "What would Oprah do". Throw them all together with a suspiciously acting cokpit reviewer and you've got yourself one hilarious story with a message. Laugh out loud funny, the ridiculousness of the situation and what happens on board left me laughing long after the story was finished. 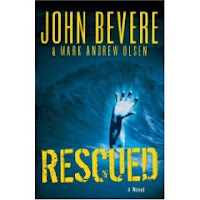 With a main character that displays a quiet, strong faith in the midst of crisis, this was a perfect "take me away" book. 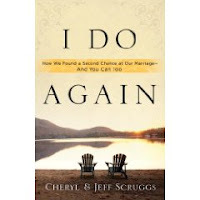 Review: This is the real life testimony of the author's and how God worked a restoration in their marriage. With what seemed to be the perfect marriage to any one else looking from the outside, Cheryl was living a lie. Feeling no intimacy, she succumbed to the attention of someone willing to give what her heart was crying for. Keeping the affair secret for years, then blindsiding Jeff with a divorce she struggled to find happiness. Then God got ahold of heart and started speaking to her of restoration. For seven long years she believed God for what she felt He was speaking to her heart, even when faced with criticism and advice to let it go. A beautiful story of what can happen when we take God at face value and truly believe for what He says and speaks to our hearts. Cheryl and Jeff now have a very vibrant marriage and work helping other couples with allowing God to bring restoration to their marriages. Dinner With A Perfect Stranger was a surprise for me. The name sounded like another failed attempt to make Jesus sound more modern and applicable to us in the 20th century. However, right from about chapter 1 and a half, I felt myself being drawn in to the depth of it. There aren’t any shocking twists in the book for me to ruin, so I will lay down the gist of it. What happens is a man (Nick) gets an invitation in the mail to go to dinner with someone who says he is Jesus. At first Nick thinks it’s just a prank by his co-workers, and he plays along because they always have something crazy up their sleeve. But in his attempts to expose this ‘Jesus’ for the hired prankster he was, Nick is drawn into a surprisingly deep conversation about God. This 100-page book was actually inspiring for me. It covered a quick to-the-point basis of world religions such as Islam, Buddhism, and Hinduism. I’m not saying that if you read the book you are automatically educated and ready to take on any Buddhist in a heated debate, but you do have quite a few holes to poke in their philosophy. For me, it served to spark an interest in other world religions, which was probably the author’s intention anyway. After discussing world religions the characters are thrust into a deep conversation about the world, Christ, and life in general. It’s one of those books that you become tempted to memorize for the sake of debate with every atheist you chance to meet. Keep in mind, folks, that not all atheists will ask the same questions as Nick did. Day With A Perfect Stranger was the sequel in the series, and for me it definitely felt like that: a sequel. It wasn’t as inspiring or motivating for me, probably because it dealt more with a specific area in the life of the character. The area happened to be problems in marriage and career, and since that doesn’t personally apply to me. I had difficulty identifying with the book more. Those who are in that phase of life, of course could relate. It’s just less universal. It’s still a worthy read, though. It was key to the story but not as exciting for me. In conclusion, both books are great coffee-time reads: they are perfect to sit down and read with a pot of coffee and a free afternoon. The question they inspire to ask oneself would be ‘what areas would Jesus challenge my thinking in?’ In my opinion they are the perfect length with surprising intensity. I would recommend it for anyone. 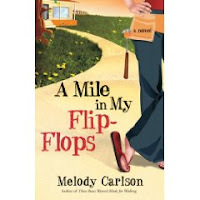 Review: This is my second book by this author and the more I read her stories the more I like her writing. Her stories are so relatable. 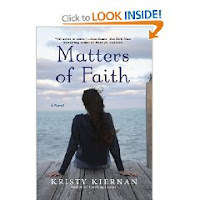 She brings spiritual truth without being preachy and the romance is subtle and sweet with humor woven throughout. A totally charming read! This story centers around Daisy who opened a second hand bridal store after being terribly hurt when her fiance called off the wedding 10 days before the date. Not having the heart to get rid of her dream dress and needing to get away from her job where she would see him daily, she opened the store. Since childhood Daisy loved brides and weddings and wedding dresses and opening the shop was her way to heal by allowing dresses to "have another story" so to speak. Inside each dress she sews a little blue heart, blessed by her friend, a retired Episcopal priest who lives in her building. But Father Laurent does more than bless her little hearts, he is her voice of reason and wisdom as she tries to navigate out of the hurt of her lost dreams. But her world is rocked yet again when health issues threaten Father Laurent and it brings his son into their lives and her ex gives her a call. Review: I know, a Christmas book in February. But the story isn't really about Christmas it just happens to happen at that time of year. The story centers around a seemingly perfect 1960's family. When the father passes away, it brings the son home from college. There is rifts in the family as the father has dreamed for the son to take over the family business but the son has dreams of his own. Those involving music. When he comes home the distance and troubles seem to continue with his mom. 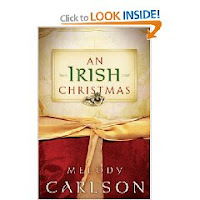 In an effort to build bridges, she takes them to Ireland for Christmas to supposedly get away. But both have secrets they must reveal that may break their already shaky relationship. The story is written in chapters alternating between the mother's and son's viewpoint and thoughts which is an interesting concept. 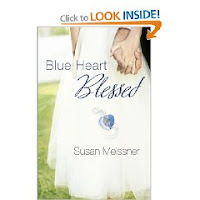 A touching story about relationships and secrets, forgiveness and restoration. Review: Contemporary, relateable, intense, shocking, thought provoking. All these words describe this collaboration. The story centers around Pastor Alan Rockaway who pastors a mega church in Denver. Highly successful in everyone but his ex-wife and oldest son's eyes, he has asked his 17 year old son along on the church's couples retreat to the Caribbean to film the sessions and provide live feed back to the congregation back home and in the hopes that he can possibly re-build some kind of relationship with his son. In what should have been a fun excursion and report back to his congregation, Pastor Alan leaves his son to film on the pier while he, along with his new wife and other members from his church, goes on a touring submarine. But no one could be prepared for the horrendous accident and subsequent events that follow. With Jeff left to watch trying to figure out what to do as help seems to dwindle, Pastor Alan is faced with a hard look at himself and everything he has told himself is about to be turned upside down. This book was very hard to put down. Although I found it a little slow and confusing at the start, I'm glad I stuck with it as it all came together at the end. The story uses present day and flashback style of writing rotating between the viewpoint of father, son and another character named Lydia. While I related to Jeff (the son) in some ways; his confusion, his anger, his stand offishness, some of the other main characters I found darn right unlikeable. I found myself angry and disgusted with Pastor Alan for things he had allowed to happen and the justifications that went on within himself and to his congregation and how they followed right along with him. But that is today's Christian world. And that is what made this story very contemporary and relateable. But this novel does not leave it at that. This story will have you going "Wow" in the end and taking a good hard look at what you believe to be true in your own life. Review: Renny Jacobson is a lawyer working in the banking division on his law firm but his heart's desire is to write a book. When his father passes away he's sees the inheritance as a way to help achieve that dream by allowing him to quit the law firm, but surprises come when he finds out he has been left basically nothing in the will except title, rights and interest in a mysterious Covenant List of South Carolina, Ltd. Renny is devasted but soon finds out that there is riches and power he couldn't even fathom associated with belonging to the List that dates back to the Civil War. But the price is high, very high as he and his girlfriend soon find out. 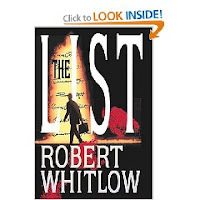 The List is a page turner for sure. Mystery and spriritual battle ensues as good and evil colide for Renny's soul. As God is drawing Renny to himself, spiritual forces are battling for his soul as Renny struggled to do the right thing but the results had devestating effects as he learned he cannot do it without God. 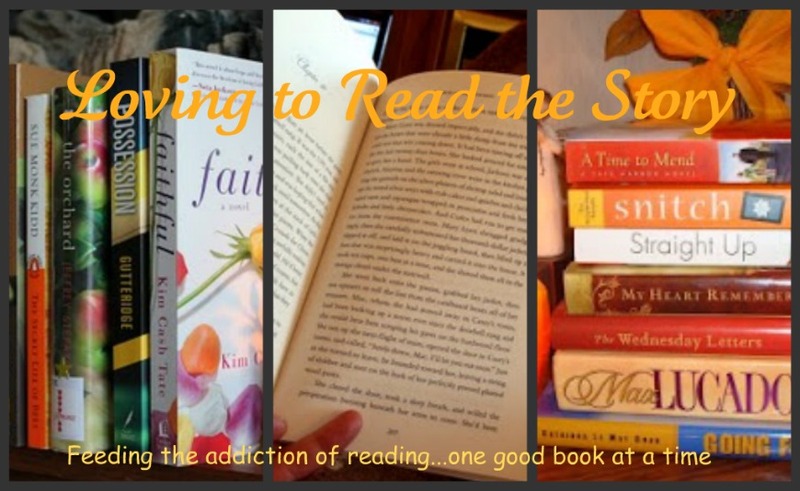 The book held my interest from beginning to end. The storyline developed at a nice pace with first the will and then Renny meeting and developing a love interest that soon became entangled in the whole plot. The spiritual battle was held off until 3/4 of the way through the story which is what made it so interesting. Nothing was given away too quickly. I also really liked that the story wasn't a scare the pants off of me type of spiritual story but yet very clearly got the message across. 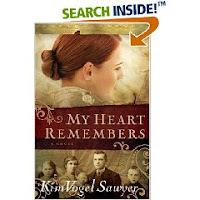 Review: My Heart Remembers is the story of Maelle, Mattie and Molly Gallagher, children of Irish immigrants in the 1860's. When the Gallagher's parents are tragically killed, they are sent to an orphanage who in turn sends them on train to be adopted by families out west. After arriving the three siblings end up being separated and sent with different families. With great heartache, the oldest, Maelle, promises her brother that she will find him one day. I loved this book. Beautifully written, the story is told from the perspective of all three siblings and goes back and forth between them as Maelle continues her life long search of her siblings. The book brought out many emotions as the characters really came to life for me. I felt their emotions as they struggled through their lives and the book brought me to tears many times as well as allowing me to feel their joys, fears and triumphs. A beautifully written tale that brought to my knowledge the plight of the "orphan train children" and other children who suffered homelessness in America at this time in history. Review: I remember a quote going around back in the '80's when I first came to the Lord that said, "Don't be so spiritually minded that you're no earthly good". It referred to those who had the attitudes that unless they were studying heavy duty out there doctrinal things and had their heads in such a place that they didn't even know how to relate on a daily basis to people, those who thought they were spiritually better than others. Well this book really is the opposite of that kind of thing. A back to basics book on how to rid yourself of things that are holding you back from living out God's kingdom here on earth. An easy reading format with each chapter dealing with a different area that can affect our lives and how to recognize and deal with it effectively so that we can walk in God's plan for us. The author uses lot's of examples from his own life most of which I thought illustrated his points well although in a few places I thought there were too many examples. That said, I thought the book was perfect for both the baby Christian who is just learning how to walk out his faith and for those of us who have been Christians for a while but just need a reminder of what the important basics are. 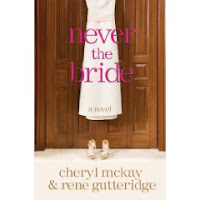 Review: Love, love, love this story. The perfect summer read. Go here for my thoughts. Review: The Heretic's Daughter is the story of Sarah Carrier Chapman. It starts with an aging Sarah writing a letter to her granddaughter of a well kept secret. It is her first hand account of the Salem Witch Trials and her family's imprisonment and trials. The author, Kathleen Kent, grew up listening to stories about her ancestor Martha Carrier, who was tried at trials in Salem. She spent five years researching the Salem witch trials. Written from the perspective of the daughter of Martha Carrier, this is a story that was very hard to put down. It starts with the families move to nearby Andover and gives history of the area and the superstition and fear that was starting to grip a communty. As news comes of the impending arrest of her mother, Sarah is asked by her mother to speak a lie that will surely condemn her mother but save the family. 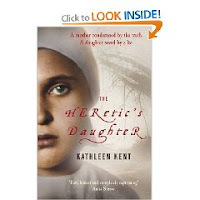 The Heretic's daughter is totally emotionally gripping. Well researched, the author is able to really convey the fear that comes out of superstition. My heart was ripped as I read of the imprisonments of innocent men, women and children and cried for Sarah and her family. A very moving story that hopefully would help us learn from the mistakes of history. Review: When life throws her a heartwrenching curve ball, Gretchen withdraws into herself. Becoming an HGTV and ice cream addict, she hides herself away in her home. Finally deciding that she needs to break the pattern, she buys herself a fixer upper in the hopes of renovating and flipping it during her summer off from teaching. But life again gives her a curve, and she must deal with her Dad's medical emergency in the middle of her time restrained flip. Being forced to admit she cannot do it on her own, she must hire someone to help her. But one never knows what will happen when control issues are finally relaxed and God is allowed to move. Melody comes up with another wonderful, heartwarming summer read. Everyone can relate to Gretchen, first as she withdraws and then as she tries to grab ahold and control her life. Humorous moments resulting from Gretchen's iron grip on control are chuckled along with as well as moving moments when she comes to some realizations about herself. Great summer read. Review: Tammy Lynn Taylor comes from a deeper traditional, religious family. As a young law student she is offered a summer job as a clerk for a prestigious Savannah law firm. When she is given her first case, which seems to be an easy one, betrayal and deception start to surface which likely involves senior partners in her own firm. Tammy must make decisions on what to pursue, truth or good standing with the lawyers she works with so that she would be offered a full time job after law school. I found it hard to really, really enjoy this book as I didn't like the main character very much. I liked her family's strong tradition Christian values that were portrayed but in her hunt for the truth I wondered at some of what I percieved was disrespect for other lawyers in the firm and an arrogance about her. The way she spoke to them was not a way I, as a young intern, would think to speak to my superiors without expecting a consequence. Maybe I read through the book too fast and didn't get the jist of her personality but I didn't really get what I percieved at discrepencies in her personality. That said it was a good story of pursuing justice even in the face of very hard circumstances. 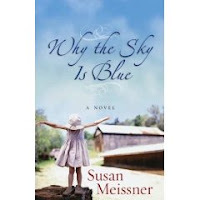 Review: This second book in the series takes the story of and farther by taking a look at how the father's not being there for his children has affected their adult lives. It mainly focuses on two of the siblings, Eric and Lexie both of whom have major issues as adults. Even as their father has asked them to forgive him for his abandonment of their childhood in favor of pursuing his career, they struggle to accept that he has really changed. Eric, a local star on the evening news, has turned to alcohol to help dull his hurt and Lexie, while still dealing with trauma from the wildfire of last year, has been bulimic all her adult life. 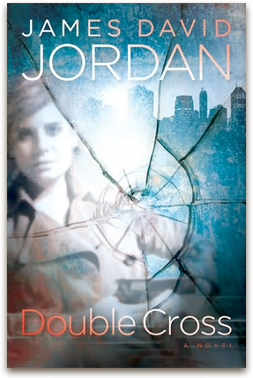 When they meet up with a cop named Rosie who has a deep compassion for hurting people, they realize they must face those issue in their lives that are strangling them. Loved this story. It was an honest look at the destruction that choices we make as parents can have on our children's lives even into adulthood. I thought the characters of Lexie and Eric portrayed well what can happen when as adults they also make poor choices to hide their pain. And I love that fact that a character was brought in who showed compassion and looked beyond the insanity to find the real people hidden underneath the facades that they carried. Review: The story is told moving between the two viewpoints of mother and son. After witnessing the death of his friend at a young age, Marshall is thrown on search for faith throughout his teenage years. His mother allows him to explore different faiths but his father is adamantly against this search which sets him at odds with his son and sometimes Chloe (the mom). Chloe is caught up in being a good mom and being sensitive to both Marshall's needs and the needs of their younger daughter who is severly, life threateningly, allergic to peanuts. 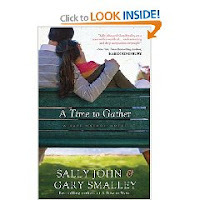 When Marshall brings home a new college girlfriend, who has very definite beliefs about sickness and healing, events occur which change the lives forever for each member of the family. I could not put this book down. It dealt with so many issues and wove the together in a way that was moving, infuriating, thought provoking and intense. Each character and their emotions and confusion was totally relatable. The only thing I felt a little let down with was the consequence to one of the characters. Each character's story line seemed to be wrapped up at the end except the one. But maybe that is how the author wanted it. Maybe there is another story to come focusing on that particular character. I don't know, but I felt the character had no closure with regards to the story. 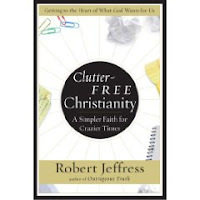 I'm glad I stepped out of my regular "Christian" genre and tried this author. Review: For the book tour here. 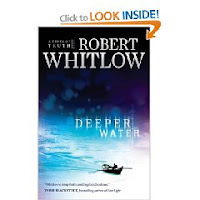 Note for myself: The only reason I gave this book a 6.5 rating which for me is a bit low, is that I was confused about certain characters for a long time throughout the book. I felt the characters and what they were doing in the novel could have been defined a little clearer. Might have been just me and my mindset at the time of reading, too, though. Review: A story that never slowed down or let up. My review is Here. 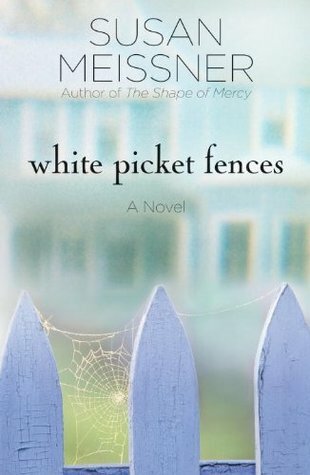 Review: Amanda Janvier’s idyllic home seems the perfect place for her niece Tally to stay while her vagabond brother is in Europe, but the white picket fence life Amanda wants to provide is a mere illusion. 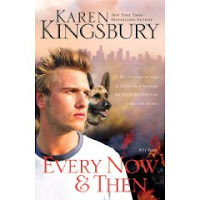 Amanda’s husband Neil refuses to admit their teenage son Chase, is haunted by the horrific fire he survived when he was four, and their marriage is crumbling while each looks the other way. Tally and Chase bond as they interview two Holocaust survivors for a sociology project, and become startlingly aware that the whole family is grappling with hidden secrets, with the echoes of the past, and with the realization that ignoring tragic situations won’t make them go away. What family does not harbour some kind of secret out of their past? And how many of us try to give the illusion of the perfect, happy family living behind the white picket fence even as we struggle inside. I found this book touching and thought-provoking and hard to put down. The story is written beautifully and with sensitivity. Each character is developed well and I could feel for what each one of them was going through. I also was really touched by the Holocaust story and how it affected the lives of the teenagers as they talked to the survivors. But I think what struck me most was the way in which Amanda and Neil each handled the family secret. A story well worth reading. This is a keeper for my book shelf as I'm sure I'll be reading it again! 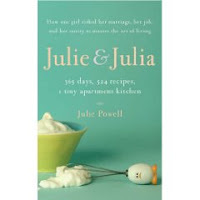 Review: The true story of Julie Powell, a 29 year old married secretary who was very dissatisfied with her job and feeling the biological time clock ticking, took on the project of cooking through Julia Child's Mastering the Art of French Cooking in one year and blogging about it to give herself focus and a goal. Sigh. How to review this book. I'm having a hard time because as you can see by the rating, I didn't enjoy the book. 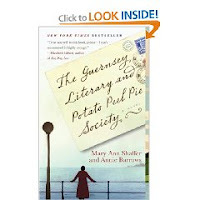 I loved the movie and that is why I thought it would be fun to read the "real" version straight from the author and also the other book that the movie was based on, "My Life in France" by Julia Child. Not even near a quarter of the way through the book I wanted to quit. Maybe I'll start with what I liked. I really like the cooking "story" of the book. I liked how she had enough gumption to take on something when she was so floundering in her life. I was taken in by the difficulty of the task she set for herself and I liked how she related her frustrations and failures and not just successes. I liked how she stuck to the project even when it was difficult. I loved how she made her husband come across as a man who loved her and stuck by her even in the craziness when some were telling her to quit. What I didn't like was the constant and continuous f-bombs and swearing, the in your face sexuality, the rude, disparaging remarks against Christianity, the self-indulgent tone, the run on sentences. I don't know why I pushed myself through the book, I normally would never bother to when there is that much swearing, real life or not, good story or not. Except maybe it was to see if it redeemed itself somehow (and because I so loved the movie). For me it didn't. Yes, she finished the project. Yes, she gives credit to Julia for "saving" her when she was drowning. Yes, she is a big time writer now, sitting in pajamas in her living room to work, as the back cover states. But how has her heart or her character changed from her experience? But is she a less negative person? Less self-indulgent? Has she viewed others or the world differently than when she started? Has something in heart changed? Is she kinder? I don't know. Those questions were not answered for me. For me the book was a total disappointment. I know, I know, the movie version is not the "real" Julie. They changed her, cleaned up her language, toned her down. Quite a bit, as I can now see after reading the book. The movie was sweet and charming. The book, not. I guess it's a matter of opinion which version one prefers to partake in. Sorry guys, I really, really wanted to love the book, but I just couldn't. 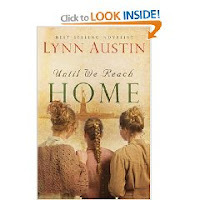 Review: The fictional story of 3 Swedish sisters who emigrate to the U.S. in 1897. After the untimely separate deaths of both their parents, the sisters find themselves living with their uncle and aunt who have come to take over the family farm. As they grow, Elin, the oldest finds life with them unbearable and as she promised her mother she would take care of her sisters, she takes measures to have the three of them move to the U.S. to find a better life, but things don't work the way she dreamed and they are met with one challenge after another. Their survival depends upon pulling together and staying close, but with secrets amongst themselves, this becomes a difficult task. Without being preachy, the author shows how in the midst of the hardest of times with pain and heartache, God is there and provides a way through. This is a beautiful, historical novel that really brings out the plight and hardships of immigrants who came to America looking for a better life. I loved how the author developed each of the characters and one could really understand why each reacted to the different situations in such different ways. I thought the end wrapped up a little too neatly but I'm going to see if there is a second book that continues their story. It would be nice to find out how their lives continued on. Review: The story of a young man's witness and favorite scripture and how it affected some of the lives that it touched. When a tragic accident happens to one of Nebraska's new football stars, his defining scripture comes to light and starts to affect the lives around Nebraska. From a father who refused to have anything to do with God, to a woman trying to hide her past, to a young college couple facing the consequences of their actions to a young woman who has spent all her savings trying to become a mother. 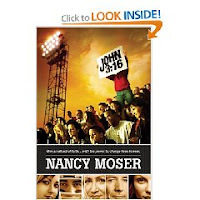 I loved how all the lives somehow intersected in the story and how all the characters were flawed people but were touched by the life of a young man who was destined to be a star athlete but lived his life of faith upfront. The characters were not glossed over and unbelieveable but seemed like real people dealing with very real everyday problems and consequences of decisions they had made. Very upfront without being preachy, the book is a story of redemption and how each of our lives touch the lives of others. I've had Between Sundays for a while now but just haven't started it...sounds pretty good so I probably need to bring it to the top of my pile! I'm willing to ready just about anything by John Bevere. He's an intense man who has "paid his dues" in the Christian experience. Thanks for reviewing this one; I hadn't heard of it yet. Wow, good to know, now I won't bother with it! 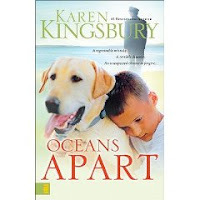 I love Karen Kingsbury books. 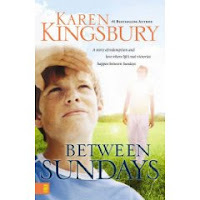 Anonymous: I read Karen Kingsbury because sometimes her style is what I am in the mood for. And I disagree with you in that they are not all the same story at all. And just for the record, if you are going to disparage a book I enjoyed reading or my tastes, please have enough wherewithal to post your name and not as anonymous. I don't mind differing opinion, everyone's tastes are different, but at least be open for a discussion and don't hide behind anonymous.